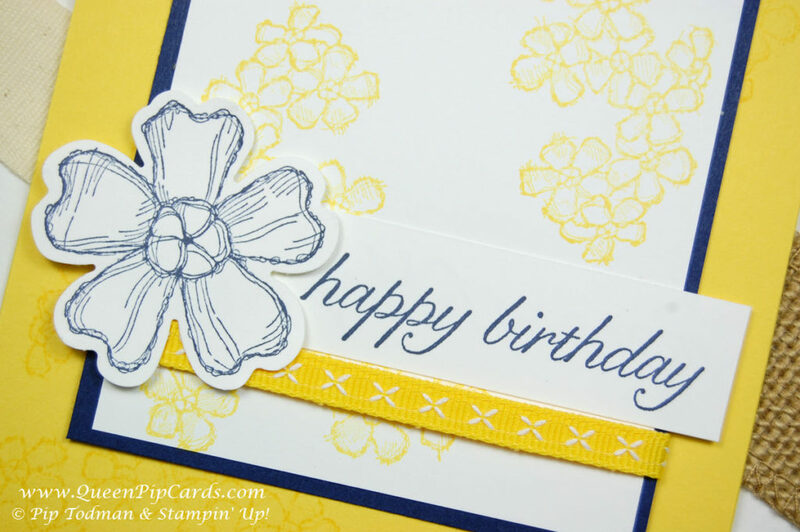 Today I’m sharing a nice bright Birthday Blossoms card idea with you. This was a card we made for our Ronald MacDonald House Charities event at the end of June. I love partnering an old favourite set up with new products. The addition of this new Daffodil Delight 1/4″ Double-Stitched Ribbon gives the whole card a fresh new feel! This ribbon is extra nice, one side it has these little cross-stitches and on the other is a double line of stitched lines. So you get two looks for the price of one roll of ribbon! Using Daffodil Delight as my base card I paired it with Night of Navy. This is a classic combination so you can feel confident it will always look good. The Pansy punch coordinates perfectly with the Birthday Blossoms set (there is a bit of lining up to do with the stamp so take your time). With the ribbon to finish it’s just a really fresh and bright card. Buy the Birthday Blossoms stamp set now – click this link. 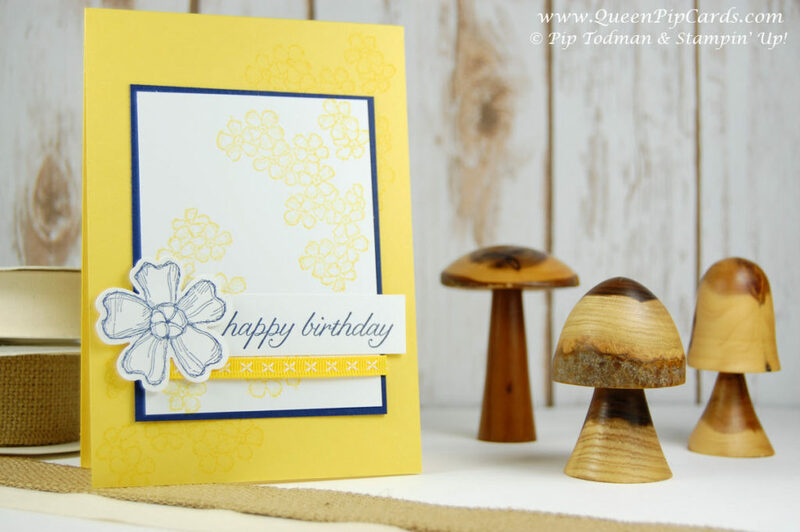 I hope you’ve enjoyed this Birthday Blossoms card idea and it’s inspired you to grab that stamp set off the shelf and try out some of the new products with it.